Israel's military carried out a series of strikes on the Gaza Strip on Thursday after mortar rounds from the Palestinian enclave were fired at its soldiers, in a significant flare-up of violence. Hamas authorities reported three Palestinians wounded and taken to hospital, providing no further details on their conditions. No Israelis were reported hurt. The violence came a month after Israel blew up an Islamic Jihad tunnel stretching from the Gaza Strip into its territory, resulting in the deaths of at least 12 Palestinian militants. There have been warnings that Islamic Jihad would respond to the destruction of the tunnel. 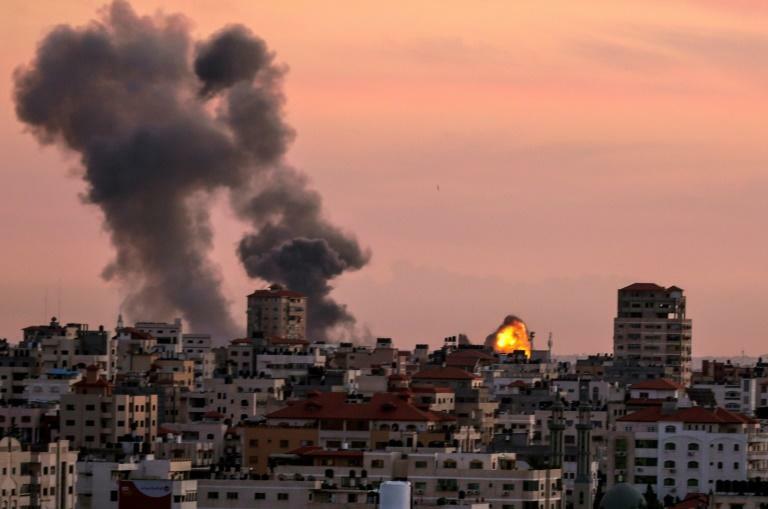 The strikes also occurred at a highly sensitive time for the Palestinians, with rival movements Hamas and Fatah seeking to follow through on a reconciliation accord aimed at ending their 10-year feud. Israel's army said it had hit six military targets after the mortar fire, including four near the border fence in the north of the strip and two others in the "central Gaza Strip". The operation involved tanks and Israeli aircraft. AFP journalists reported seeing three strikes in the Gaza City area. 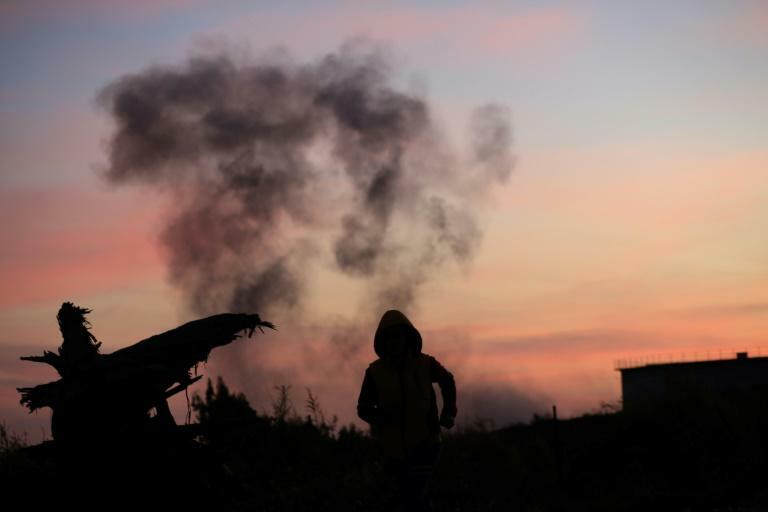 Palestinian security sources said four Islamic Jihad military bases were struck in different parts of Gaza, as well as at least one Hamas lookout point. Israel's military said the targets included two belonging to Hamas and two to Islamic Jihad. The other two strikes confirmed by Israel targeted "military posts belonging to terror organisations," a statement said. Islamic Jihad said none of its fighters were among the wounded. Israeli military spokesman Jonathan Conricus said between 10 and 12 mortar rounds were fired at its forces and positions near the northeastern part of the Gaza Strip before it responded with strikes. There were no Israeli casualties and "only very light damage," he told journalists. Conricus signalled that Islamic Jihad was responsible for the mortar fire, but declined to say clearly. If confirmed, they would be the first strikes by the Hamas-allied group from Gaza since the last war in 2014, sources close to Islamic Jihad said. Repeating Israel's longstanding policy, Conricus said it held Hamas responsible for all such activity from the Gaza Strip. Dawoud Shahab, a senior Islamic Jihad leader, said in a statement Thursday they had the "full right to respond to this dangerous escalation for which the (Israeli) occupation is responsible." Islamist movement Hamas has run the Gaza Strip for a decade. Conricus said that Israel did not want to escalate the situation but that it considered the mortar fire a "severe event." "We know exactly who conducted this attack," he said. "We even know them by name, but we hold the Hamas terrorist organisation responsible for any act of hostility perpetrating from the Gaza Strip against Israel." He pointed out that the incident came exactly a month after the tunnel operation. Tensions have risen between Israel and Islamic Jihad after the army blew up the tunnel that stretched from the Gaza Strip into Israeli territory on October 30. Israel and militants in the Gaza Strip have fought three wars since 2008. Occasional exchanges of fire continue to occur along the border. Under a reconciliation deal signed in October, Hamas was meant to hand power back to the Palestinian Authority by December 1, thereby ending its decade-long dominance there. But Fatah and Hamas announced late Wednesday that they were postponing the planned handover to December 10 with sharp disagreements persisting between the two sides.